Dr Susanne Albrechtsen, obstetrician and epidemiologist from Haukeland University Hospital in Norway, spoke at a Breech Birth Network study day in Kilmarnock on 14 February 2014. Read about the day. 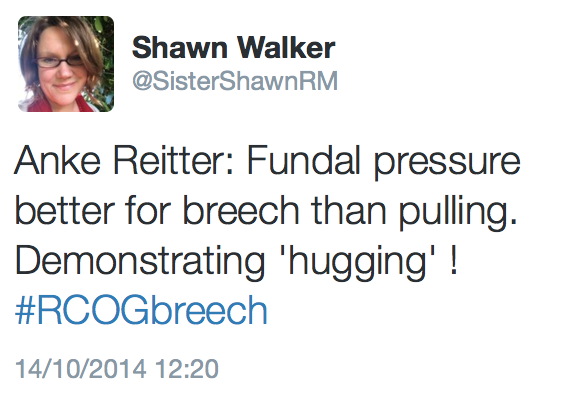 What factors are associated with an increased incidence of breech presentation? 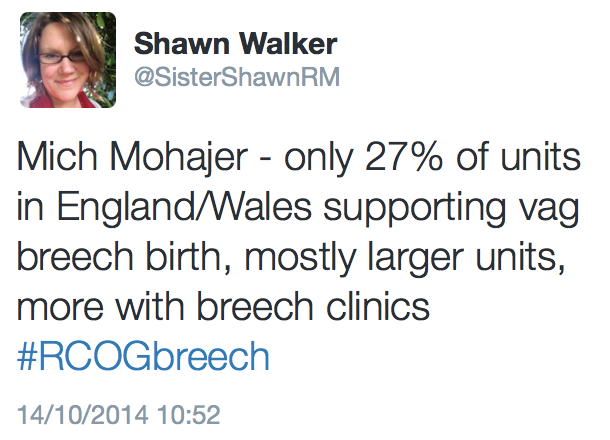 What are the characteristics of the hospitals in which breech presentation is most/least likely to be delivered vaginally, or to result in a good outcome? 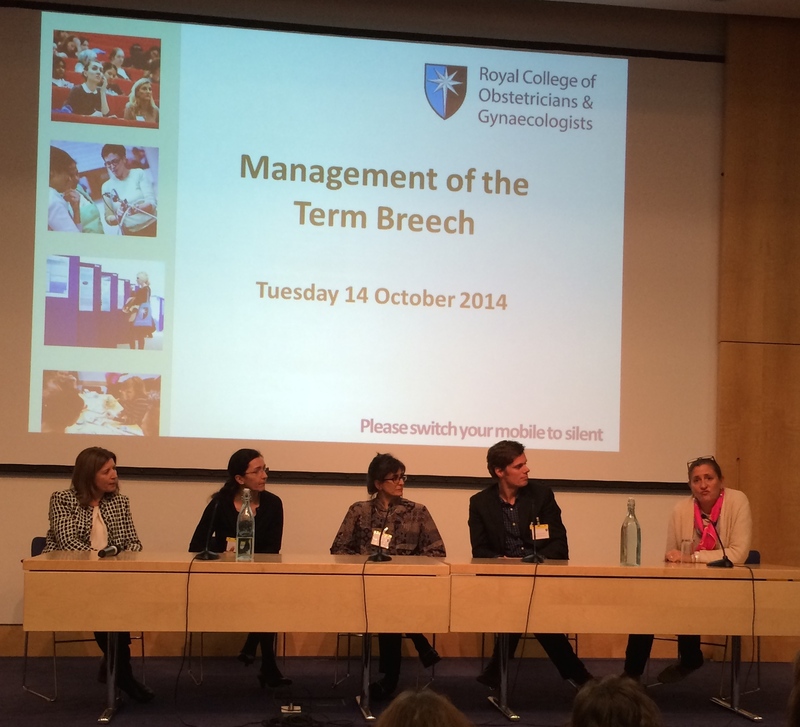 What are the long-term effects associated with of breech presentation, and do they vary by mode of delivery? 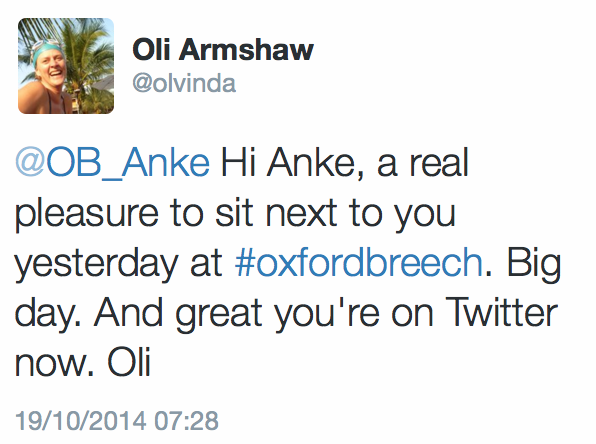 Albrechtsen has been researching breech presentation for many years. In a 2004 systematic review, Albrechtsen and her team discussed the literature concerning mode of delivery for breech presentation. 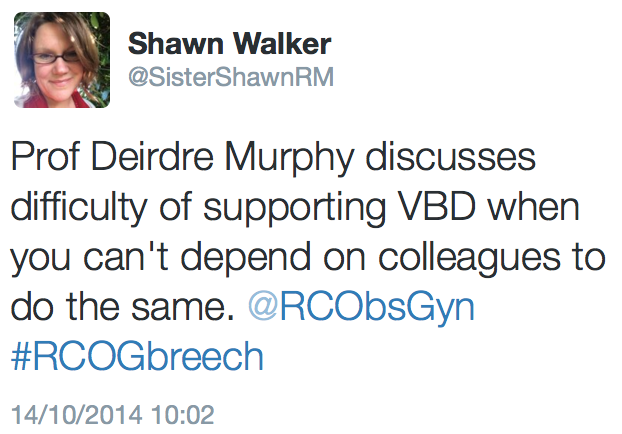 The article illustrates well why the external validity of the Term Breech Trial (TBT) is questionable: many centres have demonstrated considerably lower neonatal mortality and morbidity levels associated with vaginal breech birth (VBB) than those the TBT reported. They also discuss the difficulties of repeating the TBT trial design in locations with good results for breech-born babies: the lower your perinatal morbidity and mortality, the more recruits you need in your study to reach statistical significance. In Norway, Albrechtsen’s team calculated each arm of a randomised controlled trial (RCT) would require 10,000 members for two-sided testing. Clearly impractical. This review also raises reasonable questions about the research base behind the practice of external cephalic version (ECV). 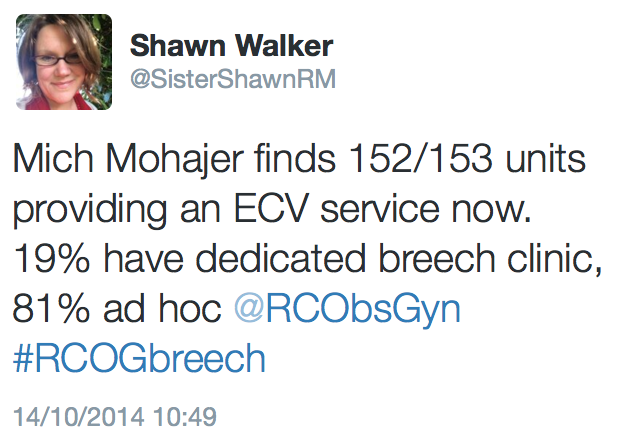 Although the available research suggests that the practice of ECV reduces the rate of CS for breech, there is no clear evidence that it reduces perinatal mortality. (You can read an earlier systematic review on this point, if you can read Norwegian.) We should be approaching all options – ECV, VBB, and CS – as reasonable. Albrechtsen and co. have also been making the point for some time that caesarean section does not reduce the rates of cerebral palsy (CP) for breech-presenting babies. Sadly, rates of CP among breech-presenting babies are significantly higher than for vertex babies, regardless of the mode of birth. 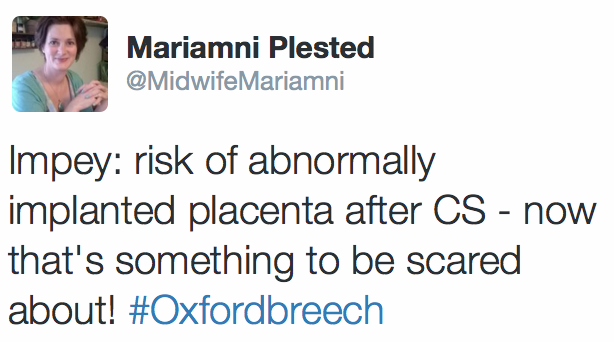 This is because CP is most often the result of an antenatal insult (infection, growth restriction, etc.) 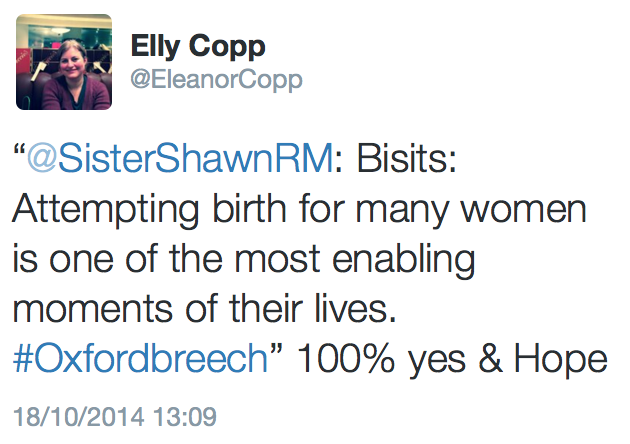 rather than the birth itself. This has recently been confirmed in a systematic review and meta-analysis by another team. The excellent national databases kept in Norway enable these kinds of ‘big picture’ views on the outcomes for breech babies. 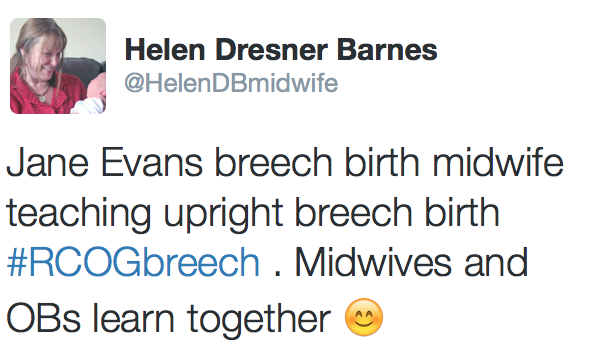 Albrechtsen has also contributed to a significant amount of literature concerning patterns in the occurrence and recurrence of breech presentation. This includes research on the familial predisposition to term breech delivery, demonstrating that factors influenced by genetic inheritance come from both mothers and fathers. Additionally, she has looked at the effect of having a breech baby on subsequent pregnancies, covering the recurrence of breech presentation (common), rates of subsequent pregnancies and interpregnancy intervals. Understanding that having a breech baby appears to affect a woman’s attitude toward future pregnancies means that we can attempt to provide more supportive counselling in current breech pregnancies. 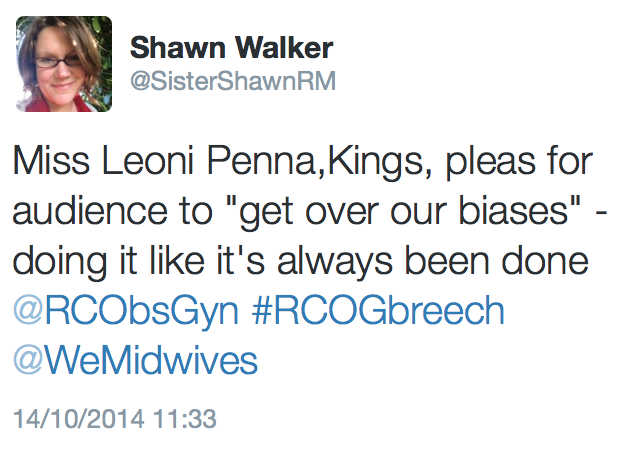 The extensive Norwegian birth registers also enabled her to look at outcomes among siblings, demonstrating that women with recurring breech presentation represent a lower risk of adverse perinatal outcome, whereas a current breech presentation with no previous history of breech presentation is at higher risk. “Perhaps heterogeneity exists, implying that recurring breech presentation for some women represents a normal condition with no increase in perinatal mortality” (p 775). “The evidence is compelling that fetuses presenting as breech are affected already to a higher extent before delivery because morphologic and functional damage is more common in these fetuses” (p 775). Routine CS is likely to improve the rate at which this minority of more vulnerable babies survive being born; but it cannot undo what has already been done. This is supported by the long-term outcomes within the TBT. 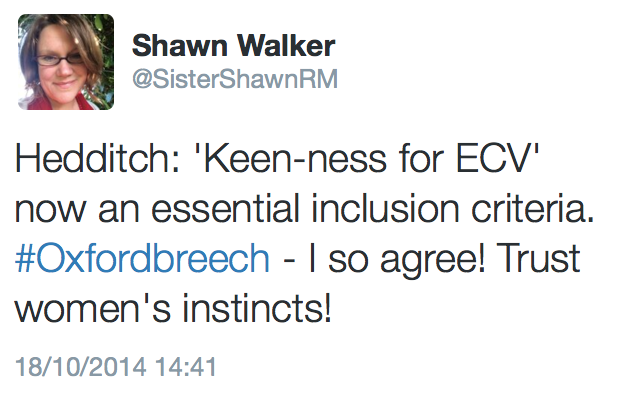 We should be approaching all options – ECV, VBB, and CS – as reasonable. 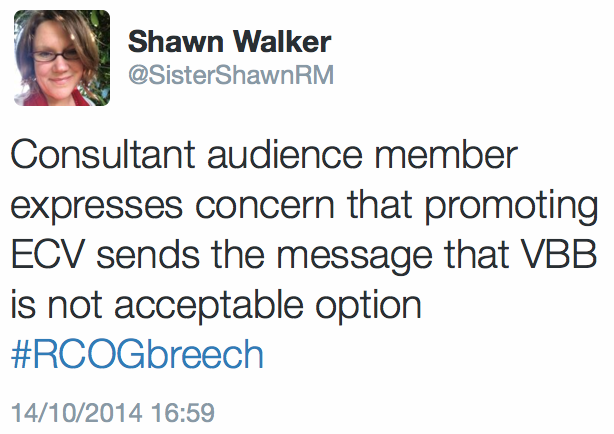 (This is not to say that breech-presenting babies are likely to be abnormal. The vast majority of them are perfectly normal, assuming a breech position due to genetic or accidental factors. 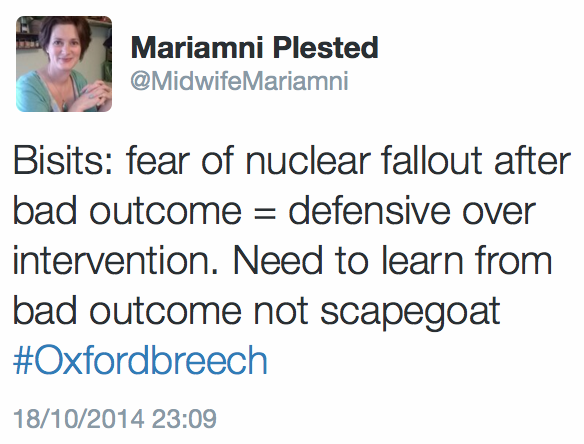 But it does explain why, despite a widespread policy of CS for breech, we still see increased adverse outcomes for babies delivered in a breech position. And why becoming comfortable with the fact that this will occur regardless might help us improve outcomes for more women, who can reasonably choose a VBB.) Albrechtsen’s work on Secular trends in peri- and neonatal mortality in breech presentation; Norway 1967-1994 gives us some insight into why breech presentation has been the subject of fierce and passionate position-taking. In 1967-1976, 9.2% of babies delivered in breech presentation after 24 weeks died; that is almost 1:10. This figure declined significantly throughout subsequent decades, even after the CS rate stabilised, probably due to improved obstetric and neonatal care. (Preterm breech babies are at greater risk than term breech babies, born after 37 weeks.) 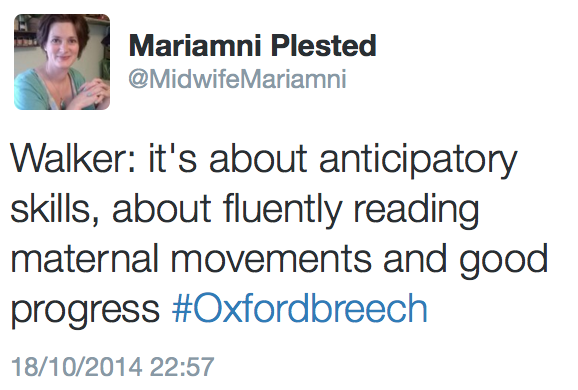 As someone who spends many hours answering women’s questions – such as, “Why is my baby breech?” – I am grateful for Albrechtsen’s work. 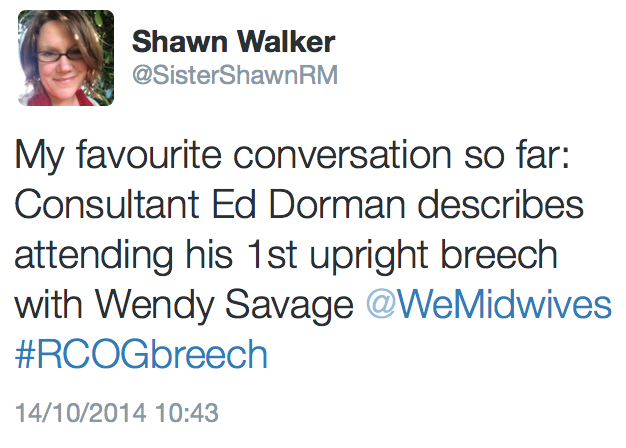 Some believe the TBT was the last word on the topic of breech delivery. 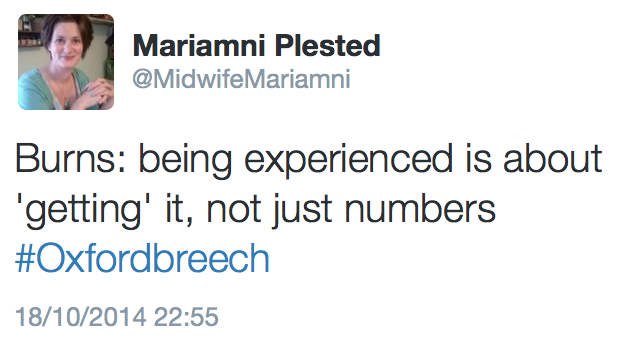 Others continue to believe that we have much more detail to understand in order to support women well through the complex and emotional journey of a breech pregnancy. 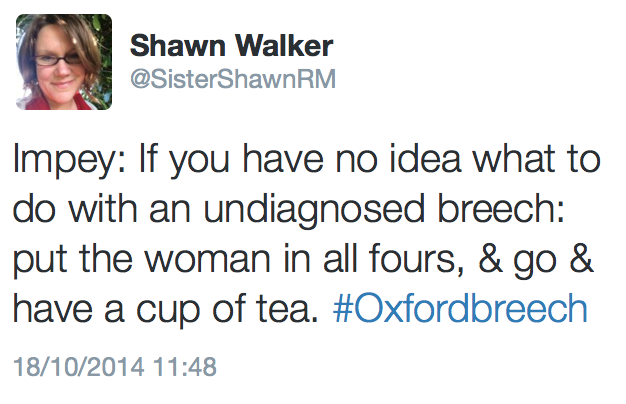 This entry was posted in Research, Study Days and tagged ECV, epidemiology, Norway, obstetric heroes, Term Breech Trial on January 10, 2014 by midwifeshawn.